The Coast Guard will continue to allow transgender members to serve unless legislation explicitly banning them is passed, Commandant Adm. Paul Zukunft said Tuesday. Zukunft told lawmakers during a House Appropriations Homeland Security Subcommittee hearing that all five of the armed services haven't yet "reconciled" the issue of allowing transgender people to serve, but the Coast Guard is "certainly committed" to their continued service. "I work with the chairman. I work with the other service chiefs as we look at the policy going forward. We will make sure that there is one policy for all service members," Zukunft said. He said at least 17 of the more than 40,000 active-duty Coast Guard members identify as transgender, including one individual on his staff. Zukunft's answer came in response to Rep. David Price, D-N.C., who asked for an update on the Coast Guard's stance. "Seems to me this is an invented problem and a waste of time and dollars and military resources by targeting these dedicated service members who've proved their fitness and their ability to serve," Price said. 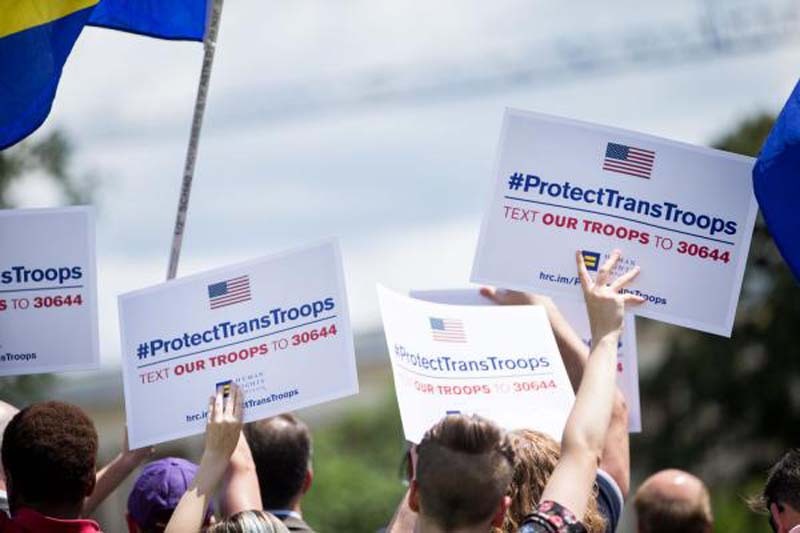 President Donald Trump issued a memorandum in March banning transgender troops who undergo surgery or require significant medical treatment from serving in the United States military. The memo allowed current transgender troops to continue their service, but included a condition that could require them to serve according to the gender listed on their birth certificate. Trump first attempted to prevent transgender people from serving in the military in 2017, but the proposal was denied by several court rulings. At least one transgender person successfully signed a contract to join the U.S. armed forces after the U.S. military was forced to lift the ban beginning Jan. 1.